Thank you for joining me as we count down to the MFT release. We are four days away from the big day! All the new Stamps and Die-namics will be available on Tuesday, August 7 at 9:00 pm EDT. Be sure to check out the MFT Blog to see all the new items being revealed today. 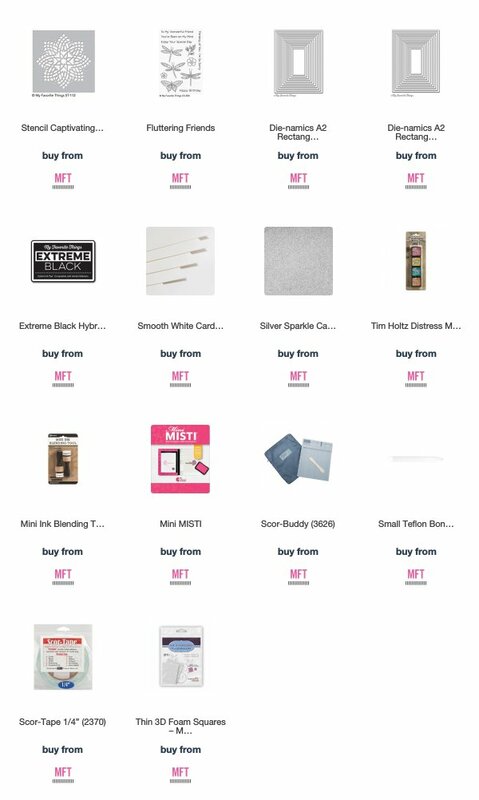 Don't forget to leave a comment on the MFT Blog countdown posts, YOU could win one of the five $75.00 gift vouchers. 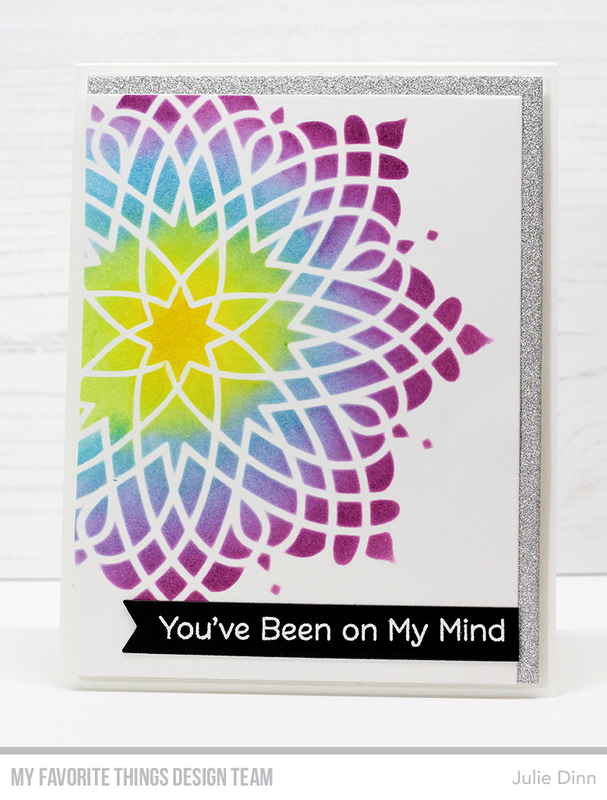 I have a couple of cards to share with you today featuring the new Captivating Mandala Stencil. This might be my favourite mandala of all the mandalas that we have released. For the first card, I sponged Mustard Seed, Twisted Citron, Broken China, and Seedless Preserves Distress Inks. I just love the way these inks blend. I finished off the card with a sentiment from the new Fluttering Friends stamp set. 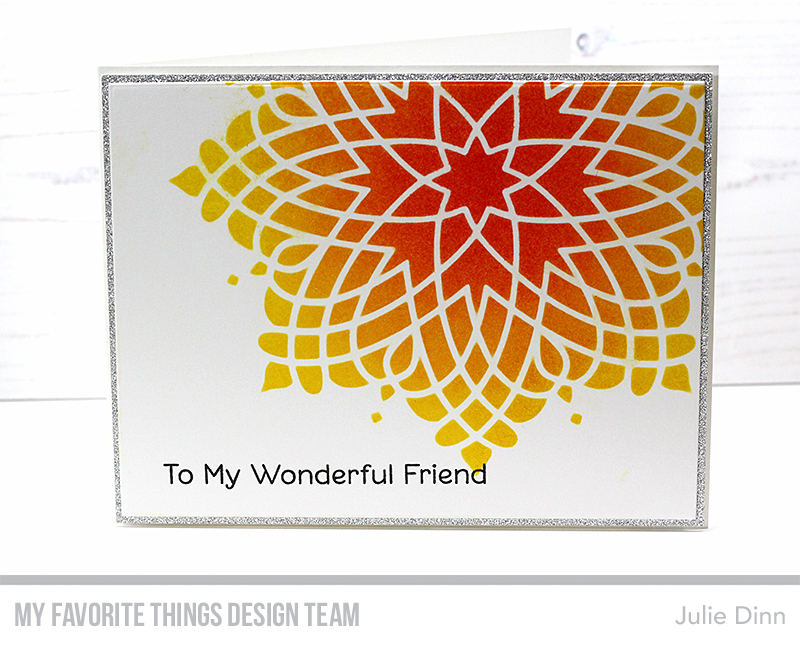 For my second card, I used Mustard Seed, Spiced Marmalade, and Picked Raspberry Distress Ink. Once again I used a sentiment from the Fluttering Friends stamp set, but this time I stamped it directly on the card stock. I really love the sentiments in this set. I like how you moved the stencils to different areas on each card. I love this stencil and your coloring is beautiful. Spectacular release. I love them both, but the second one is my favorite. I do love the fall and this color combo speaks fall to me. All three of the mandala items are too wonderful. Nicely done. So very pretty! Love the colors! !